This week, approximately nineteen wildfires continued to sweep across the California landscape. During the last week communities were impacted in the counties of Shasta, Mendocino, Mariposa, Modoc, Tulare, Lassen, Napa, Inyo, Kern, Santa Barbara, Ventura, Los Angeles, San Diego, San Bernardino and Riverside. In Northern California at least six lives were lost, including three members of one family, and at least seven other people are reported missing. In the meantime, Cal Fire has urged Californians to be extremely cautious, especially for the next few days, due to the current weather conditions and increasing fire danger. The National Weather Service has issued Red Flag Warnings and Fire Weather Watches to alert fire departments of the onset, or possible onset, of critical weather and dry conditions that could lead to rapid and/or dramatic increases in wildfire activity. A simple spark can cause a major wildfire during periods of Red Flag Warnings and Fire Weather Watches when low relative humidity, strong winds, dry fuels, dry lightning strikes, or any combination of such conditions exist. For these reasons, fire officials urge extreme caution by all residents. By Monday morning, the Cranston Fire in Riverside County had burned 13,130 acres and was 57 percent contained. It caused the evacuation of 2,174 homes and approximately 3,200 people. Evacuation orders were lifted for Idyllwild and Pine Cove north of Lower Saunders Meadow Road, however as of Monday morning, evacuation orders remained in effect for Mountain Center and the surrounding area. Fire officials urged residents to use caution returning home from the Cranston Fire and reminded homeowners who may have experienced a loss of power that their perishable food is not safe and should be thrown out. 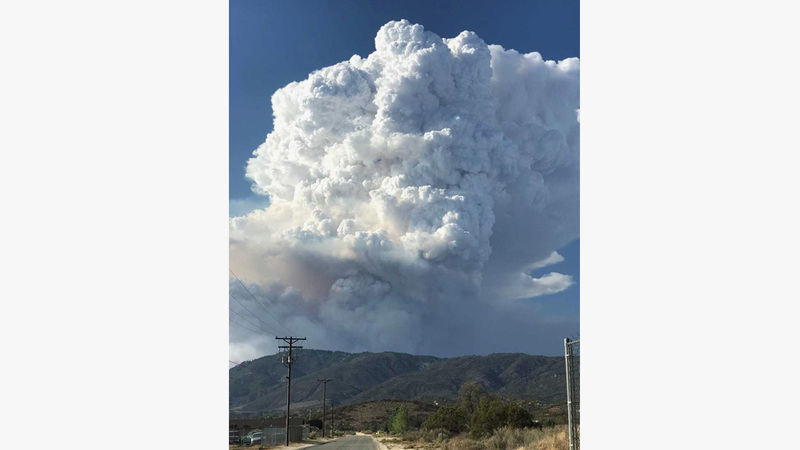 Brandon N. McGlover, a 32-year-old resident of Temecula, was arrested last Wednesday and charged with five counts of “arson to wildland” for starting the Cranston Fire and eight other smaller blazes in or near the Riverside and San Bernardino mountain areas. He was located when a Hemet police officer, responding to a “be on the lookout” for a white Honda sedan in relation to the fires, purportedly spotted McGlover near Newport Road and Garnet Lane. The officer allegedly saw McGlover start one of the fires, alerted officials and continued to follow him until other officers arrived on the scene and McGlover was taken into custody.